Primary Education - Thambalawewa Vidyalaya, Polonnaruwa. Secondary Education - Girithalegama Maha Vidyalaya, Polonnaruwa. Higher Education - University of Sri Jayawardanapura. My first employment in government service – Co-operative Inspector – 1985. In 1988 I started the career as a teacher from Bediwewa Maha Vidyalaya, Polonnaruwa. I have obtained the Post Graduate Diploma from University of Colombo in 1994 and in 1997 obtained Med. from the same University. I transferred to Thopawewa Maha Vidyalaya in 2000. I have passed the competitive exam for Principal Grade II and became the Deputy Principal of the same school. I studied for the Post Graduate Diploma in Edu. Mangement and got through if. 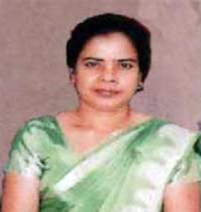 I am serving as the Deputy Principal at Samudradevi Balika Vidyalaya since 31st of June 2006. I studied at Dehiwaththa Maha Vidyalaya. My first appointment as a teacher in 1978 at Dehiwaththa Maha Vidyalaya. I schools served Agbopura Maha Vidyalaya, Kantale and Agrabodi Maha Vidyalaya, Kantale. I trained as a Social Studies teacher at Teachers Training College, Nittambuwa. I transferred to Samudradevi Balika Vidyalaya, Nugegoda served as a Social Studies teacher from 01st January 1984. In 1987 onwards served as a grade head. I passed the competitive exam for Principal Grade 3 in June 1991. I served as Grade 6-7 sectional head from 1993. In 1994 I was promoted to the Principals’ Grade II . In 1999 I was appointed to the post of Assistant Principal. Copyright © WP/Jaya Samudradevi Balika Maha Vidyalaya - 2010. All rights reserved.